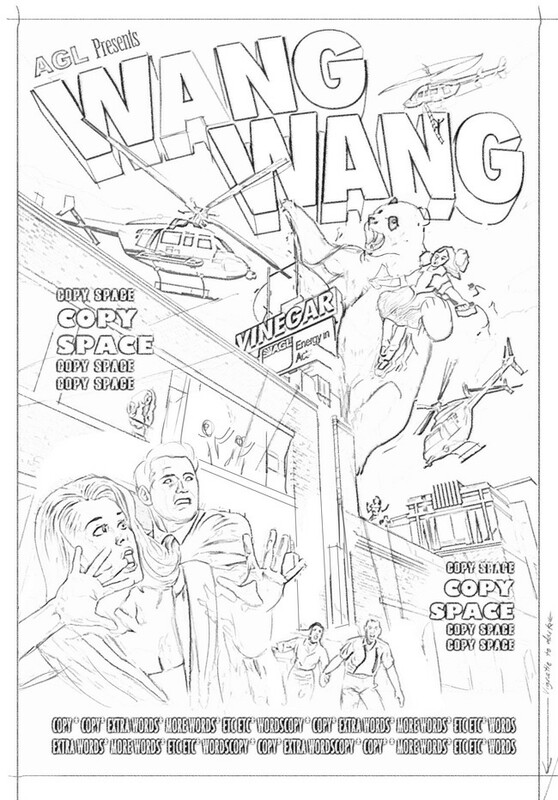 Gerad Taylor - Gerad Taylor, Wang Wang and the Vinegar skipping girl. Put two opposing forces together and you get a dramatic showdown. Gerad Taylor loves classical craft. He plays classical jazz guitar and often paints the beautiful New Zealand landscape. He also has a heart for racing M3s, riding a motorcycle and downhill skiing. We’re pretty certain that Gerad Taylor’s heart beats faster than anyone we’ve ever met. 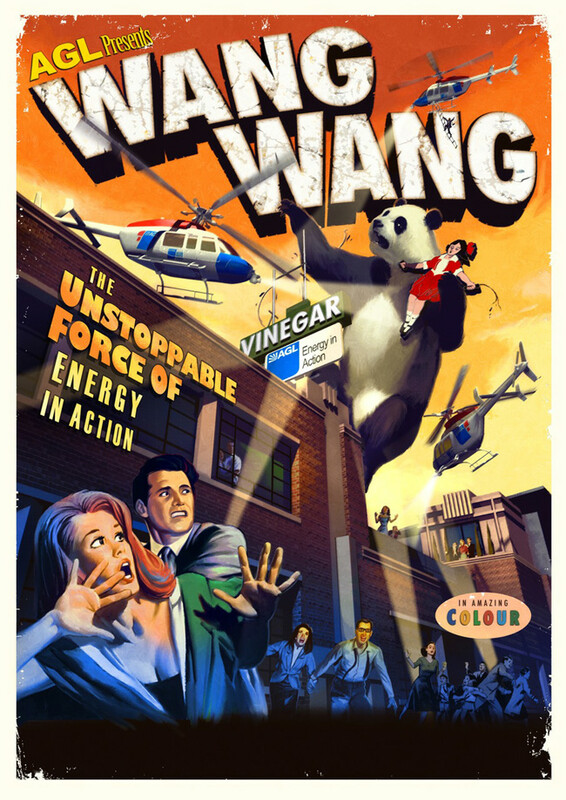 When GPYR Melbourne gave the go ahead on this brief it didn’t take long for Gerad Taylor to start rendering the distinctive Vinegar distillery, the kleptomania-cal panda, the swirling rescue helicopters, the distressed type and panic stricken crowd complete with highly emotive foreground couple. Ironically the job went very smoothly with everyone remaining calm from the initial brief to final delivery. Perhaps someone finally gave Gerad Taylor a brief that needed to be expressed with a pulse rate that matched his own.